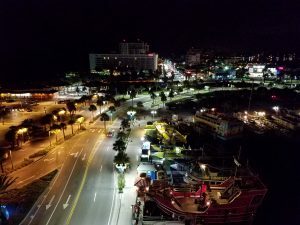 When you take a vacation on Clearwater Beach, Florida, you might want to know what you can do and what you can’t. Knowing the laws can keep you safe, but the authorities also lay down some guidelines on what you can do for a good time. 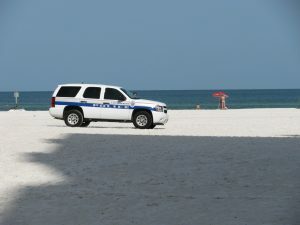 The question becomes, what exactly can you get away with at Clearwater Beach? Let’s look at what’s legal and what’s not. You can decide on your own what you think you can get away with. Perhaps the most common question is, can you drink alcohol on Clearwater Beach? Nope. Throughout the county, it is illegal to consume alcoholic beverages in public parks or lands. In fact, it is illegal to enter beaches or parks while intoxicated. It is also prohibited to drink from or use glass bottles. The reason is obvious. Broken glass on the beach is a terrible liability. Last night’s beer bottle can quickly become some poor child’s first-aid nightmare. Glass is not just another item of litter for the beach. Even our cleanup tractors that rake the sand cannot handle the glass bottles. The tines of the rakes can break the bottles, making the problem much worse. We don’t advocate breaking the law, cheating, or getting away with whatever you can, but if you’re going to violate the rules on alcohol at the beach, be responsible enough to not use glassware or glass bottles. What about those beautiful sand dunes? We see people viewing the sunset from them, hiking through them, or even setting up beach chairs on them. Is that legal? No, no it is not. Those people are all rebels and criminals. Ok, maybe that’s a bit of drama but, in fact, beach dunes are put there on purpose to protect the beach from erosion. Those plants growing on the dunes are even more sensitive and are illegal to mess with. The sea oats are a protected species. Don’t snap off their seed pods, bend their stalks, or uproot them. Unfortunately, most people are unaware of those protections. Prominent signs posted on or around the dunes clearly state you shouldn’t climb them. 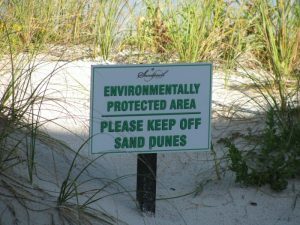 We haven’t seen dune trespassing being enforced but that might simply be a matter of timing. Can you get away with climbing the dunes? Probably, but why not take the high road and let the dunes and their plant life serve their purposes undisturbed. The beach at night can provide a very peaceful experience. A nighttime walk along the shoreline is a fantastic time to gather your thoughts or to have a pleasant conversation with friends and loved ones. That brings up the question, is it legal to be on the beach at night? It took some digging to find the answer. 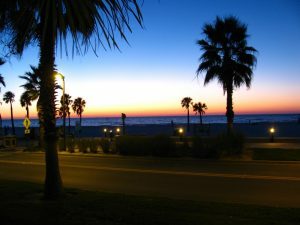 The straight answer is that the beach at Clearwater Beach is open 24 hours a day. Some of you might raise an eyebrow at that one, especially if you’ve been around Pier 60 Park between 10PM and midnight. You will find the police there, expelling people who are loitering or gathering on the lawn, the playground equipment, or on the sidewalks. That’s because Pier 60 Park is officially closed 9PM to 6AM. The police are strict when they ask people to leave, but in truth, they wait until well after 9PM to start. Other 24-hour openings you might find interesting are the boat ramps and the causeways. Both of those features are necessary and needed, which is why a round-the-clock schedule makes sense. The bonus that goes with those openings is that you can enjoy the causeways on foot or bicycle through the hours of the night. That’s good for late night walks and fishing. Naturally, you will want to take the standard precautions for personal safety that you would anywhere else when going out on a walk at night. That brings us back to the beach, of course. It is good news that late night walks are permitted on the beach. It preserves the chance to have those special moments. Be very aware that at night during spring and summer the beach is a sea turtle nesting habitat. Disturbing or approaching a nesting sea turtle can cause it to abandon the attempt to lay, potentially dumping its eggs in the sea. Despite your fascination, continue your beach walk and let the animals be. One thing you can’t get away with is sleeping on the beach overnight. A very good word of advice on that is to not try it. While sleeping on the sand might seem romantic, those little bugs that sleep in the dunes and beach grasses during the day become very active at night. You may soon regret any attempted sleepover on the beach once they find you. You might ask if sunbathing would be considered sleeping. Well, it is, sort of, but the restriction for sleeping at the beach only runs from 11PM to 6AM, so long as you are not sunbathing during those hours, you won’t be breaking any laws.